Wicked Wonderful Words: Review: "Mercy"
Rarely do I review a book that I didn't enjoy which is mostly because I tend to not finish books that I don't enjoy. Call it lazy, call it silly and ignorant - I can't help it. If I don't enjoy a book, I find it intolerable having to force myself to read it. Not an option. There are exceptions though and this is one of them. 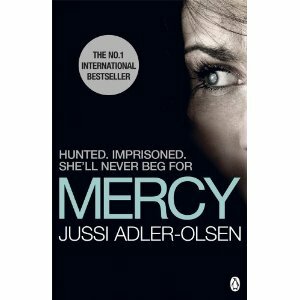 "Mercy" by Jussi Adler-Olsen is the first books in a series and I for some unapparent reason started with number four, then number three, then number two and then the first. Strange way of doing it which I don't particularly recommend. Anyway back to topic. I had enjoyed the other three, especially the second one and I thought that I would give this one a go. The context of the story is one that you have heard many times before... the main character is a policeman who is very very good at his work but who has trouble working with others. His boss is somewhat understanding of this and lets him go and do more or less his own thing on his own. In this case, said policeman, Carl Morck is not entirely on his own, with him he has his cleaner, Assad, who happens to have real talent for policework. Coincidence. Together these two strange characters get involved with a case of a young, successful, female politician who went missing years ago. And meanwhile the point-of-view shifts from Carl to this young woman, who has been captured and imprisoned in strange room with no windows, no contact to the outside world, while her captors demand that she explain why she did what she did - while she keeps asking why she is there. 1) The dry humour of Carl Morck is pretty great, saves the book actually. 2) The Assad character is quite loveable. 3) The imprisonment part is imaginative and different if really disgusting. 4) Carl Morck's stepson figures a bit in this book and more in the next ones and I have to admit that these descriptions of the sullenness and mood swings of a teenage boy are pretty spot on and funny. 1) The title. The original title translates "The Woman in the Cage" which you have to admit is about a 100 times more interesting than "Mercy". 2) The character of the female politician is beyond predictable. She is pretty, she is compassionate, she has nice suitors whom she rejects to dedicate her life to worthier things, she has all the right opinions.... Honestly, it is just too much. 3) The villains are never really explored or explained. In some of Adler-Olsen's later works, he does a much better job of exploring the motives, making it much more interesting to read. 4) The predictability of Carl Morck, the essential renegade policeman. Why are there no crime fiction books about policeman who do things by the book and succeed? It seems like they all have to be rebellious and anti-social, I would like a bit of change please. 5) The political remarks here and there. They are so misplaced and have nothing to do with the story. They end up being really annoying side-remarks that break up the story and promotes the author's political opinions without adding to the story. So there you go. If you like Scandinavian crime fiction maybe this one is for you. My advice would be to let this one go and head straight for the next book in the series.